I started playing an older save, one before I expanded my squad and build my base but I’m running into the same problem - every fight results in a lot of downtime. I’m also getting dorked by the the RNG as my armor smith all of sudden is making only green items; previously I had a fair amount of specialty (yellow) and even a few masterwork items. Make sure the area where your craftsmen is working is well lit. There is a pretty big darkness penalty at night. Same with farming. I wish I could tell my farmers to NOT harvest crops at night since they start to fail a bunch of times. I have since put in lighting everywhere. Yeah I discovered that the hard way earlier. I have a ceiling lamp, a torch and a campfire just to be sure. However I bought some headlamps from a hive village (they only sell two at a time) and probably just a coincidence but she just crafted two pieces of yellow merc armor. Oh, does anyone know a good spot to recruit Hive worker drones? I want to use them for farmers and laborers but I’m having a hard time finding any. My biggest complaint right now is loading time. 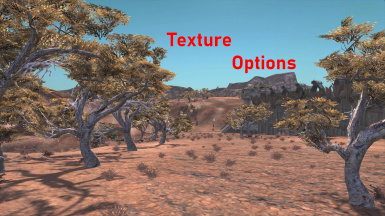 Acccording to folks on the Kenshi Facebook group (yup, there is one) these two mods will greatly improve both loading time and frame rate issues. They are only on Nexus, not the Steam workshop (a decision of the modmaker). Downsized textures for FPS gain and faster loading time. I’ve installed both – the first overwrites much of the game’s original textures, the other is just a mod. Both installed easily and I’ve had no problems. Haven’t seem tremendous gains in load times, but I already have an SSD so it wasn’t terrible to begin with. Definitely better FPS. Others, both on the nexus and FB sites, report big gains in load times. Thanks, i will take a look at those! I did increase the recruit limit to 256, because with 30 guys there’s only so much crafting you can do. Good find on those mods. They do make the game run better. Unrelated and I did not know this until this morning, but shift F12 draws a circle around your base that shows what is “yours;” if you build outside that perimeter there’s a chance you’ll get enemy spawning within your walls. More colourful and sharper textures. I headed south in search of new recruits, but am getting zapped by these giant lasers coming out of the sky. Each zap means everyone loses ~25% health! I think I’m going to need to reload an earlier save. Not sure how to get to my destination without passing through this area again. Yeah, the game’s default graphics are too desaturated IMO. Can this mod be used in conjunction with the Texture Options mod? I’m guessing there will be a conflict. Welcome to Venge. Leave your coat at the door and run like hell or stay to the very edges of the zone.I skirt the Grey Desert when going through that area from W to E.
I question the purpose of this zone and a few like it as there is not much there and it just seems to be filler. It’s not tested but I believe the mod author thought it should work since they just worked on the texture image quality. 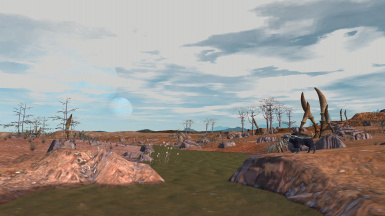 I think it’s tied into the lore/history of Kenshi, although I admit I haven’t read (in game or out) too much on it. If there is a lore I have missed it. I would like to know more of why the world is the way it is. City in The Outlands, built at the bottom of a high ancient tower that is visible from a distance. Black Scratch is the home to the renowned Great Library, the largest collection of Blueprints and Lore Books in all of the world. I’ve only been there once and bought some AI cores and some Edge weapons. Didn’t even see the library. :( Time for a revisit. You know, this game can be really brutal. At my base near the Swamp, I mostly get hungry bandit and Swamp ninja raids. They always fail and result in piles of corpses at the front gate. I gave up using the corpse furnace since it required a lot of micromanagement. (The corpses eventually despawn, although there’s the constant hum of flies when my base is the focus.) Sometimes though a new raid will hit before they disappear, and I’m not sure I’ve ever seen anything in a game as morbid as seeing crippled victims crawling through piles of corpses. Once after one such raid I noticed a Swamp ninja crawling away; I clicked on him and his goal flickered rapidly back and forth between self-preservation and robotics. For some reason I sat there and watched as he tried to retreat. It didn’t register with me the thwunk, thwunk, thwunk of a newbie turret gunner continuing to fire at him. The guy almost made it too. Yeah, but the problem was the guys I assigned the job to didn’t do a very good job of picking up the corpses - I had to manually direct them to the pile and/or tell them to pick them up. Probably. I kept meaning to make a new one but never got around to it.